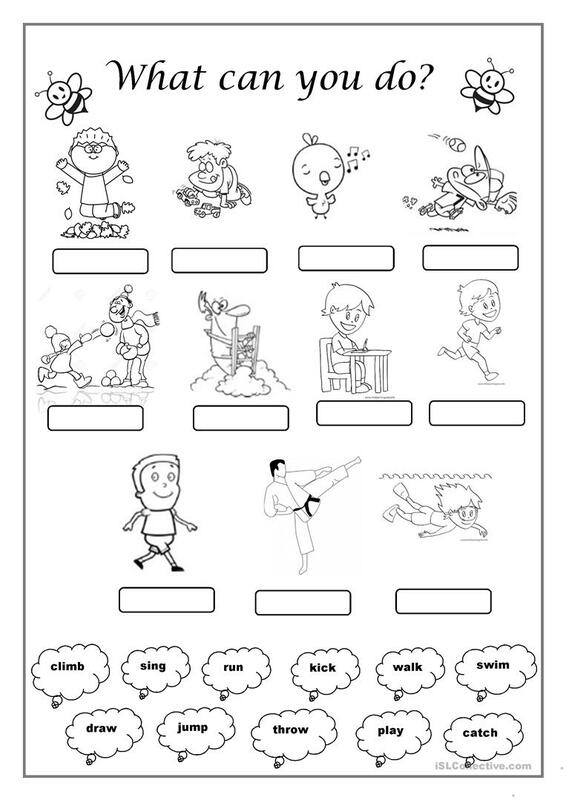 This worksheet with black&white pictures will help to train verbs and writing sentences with there words ( sing, draw, swim, catch, throw, run, walk, climb, jump, kick). 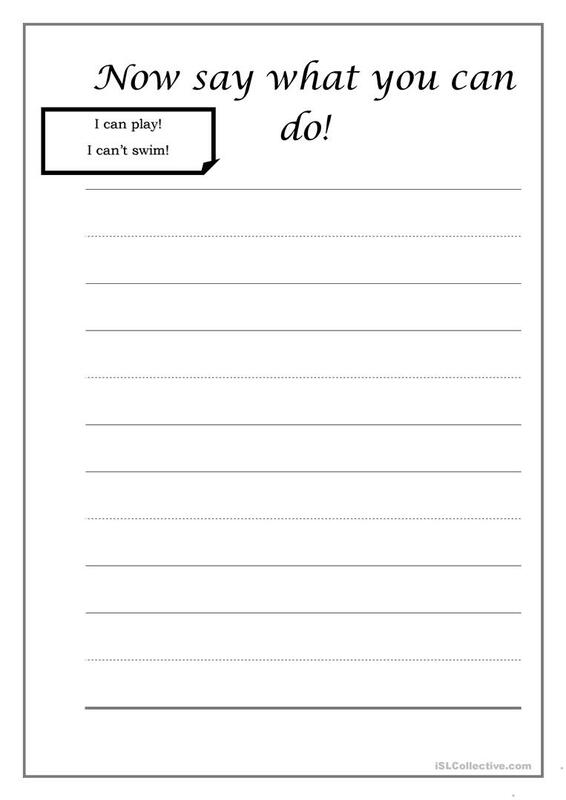 The present downloadable handout is a great resource for elementary school students and kindergartners and nursery school students at Beginner (pre-A1) and Elementary (A1) level. It is a useful material for revising Verbs: Action verbs, Verbs: Dynamic verbs, Verbs: State verbs (aka stative verbs) and Verbs: State verbs vs dynamic verbs in English, and is a valuable material for working on your class' Reading and Writing skills. It focuses on the topic and words of Actions. apapillon8 is from/lives in Russia and has been a member of iSLCollective since 2015-03-17 19:05:25. apapillon8 last logged in on 2019-04-18 15:37:19, and has shared 5 resources on iSLCollective so far.